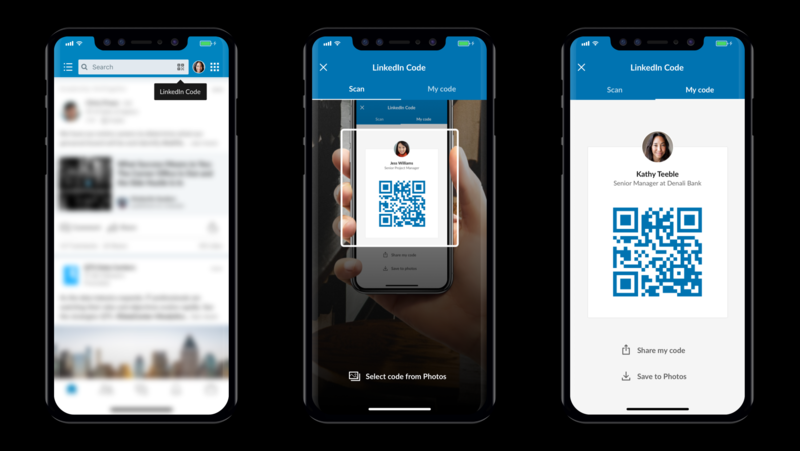 LinkedIn has added a new post translation tool, while they’re also rolling out their own version of QR codes for profiles, adding a new way to help users connect. First off, on translations – as is fairly commonplace across other platforms, LinkedIn is now giving users a quick, easy way to translate posts into their local language. No doubt most people are already familiar with such functionality – but where LinkedIn’s auto-translation tool is interesting is that the platform has immediately added the capacity to translate more than 60 languages, by using parent company Microsoft’s Text Analytics API (the same system which is used for translations in Bing, Skype, and Office). The breadth of languages available, and the advances of Microsoft’s translation tools, help provide a powerful boost for the option – for context, Twitter offers translations for around 40 languages. As the world becomes more interconnected, and translation options continue to improve, we move closer to borderless business interaction, which is no doubt where LinkedIn is looking with this new tool. LinkedIn’s other new option is QR codes for profiles. LinkedIn says their QR code option will provide a simple way to quickly find user profiles, and connect on-the-spot. In this respect, QR codes on LinkedIn might actually make more sense than they do on other social platforms. I mean, it’s a stretch to think that LinkedIn QR codes might replace business cards entirely, but they certainly do have a clear and practical use in the case of conferences in events. And another interesting suggestion – LinkedIn QR codes could be included on conference badges or lanyards for each individual participant. Certainly worth considering. LinkedIn becomes the latest social platform to add a QR code option, despite the fact that QR codes have never really seemed to catch on. According to The Economist, QR codes are hugely popular in China and Japan, with QR code-enabled transactions totaling more than $1.65 trillion in these two countries in 2016. That could be why social platforms see such opportunity in the option – maybe western markets aren’t as interested in QR codes, but there are huge markets of people who are, and those trends could translate across over time, making it a more significant consideration. Open your LinkedIn app and tap the QR code icon in the search box found on the Home tab. They’re not revolutionary, but both tools add to the broader LinkedIn experience – and a noted, both could become increasingly relevant over time.